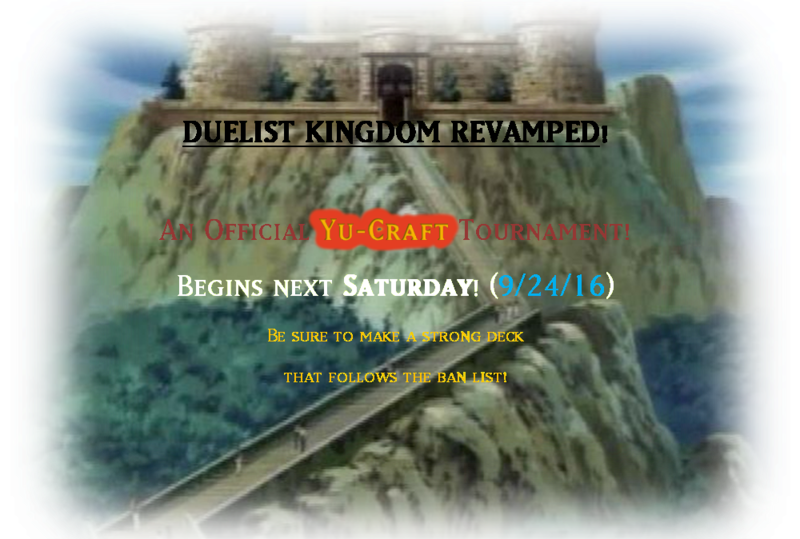 ARE YOU PREPARED FOR THE MASSIVE DUEL TOURNAMENT? During our last event we had 45+ players online. That being said, it's pretty safe to say we'll range roughly 35-60 players during the tournament THIS SATURDAY! 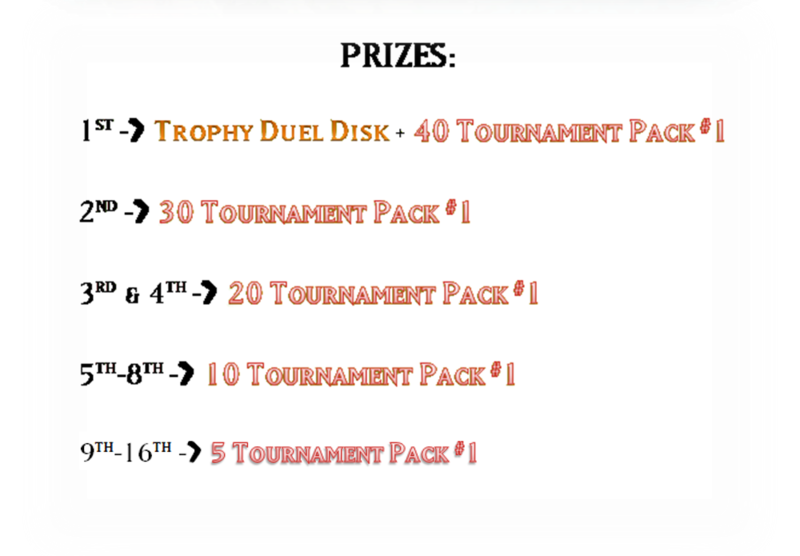 Make sure your deck is top notch so you can gain the epic Trophy Duel disk, exclusive EVENT-ONLY rewards, and to fully experience the full tournament! We've implemented a few new packs to the shop to help you make the best deck you can! How can you prepare for this Tournament?? - Duel people in Advanced Format with the deck to make sure it will do well! 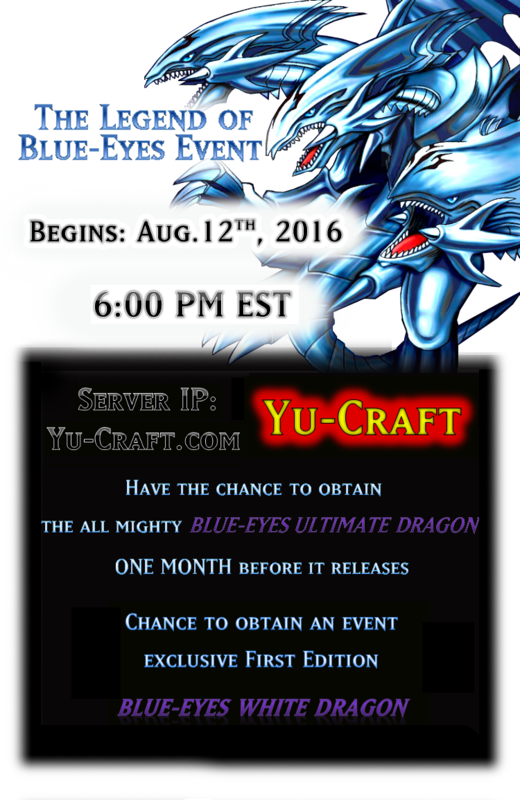 Yu-Craft Tournament 9/24/2016 - TIPS and DECK LISTS! 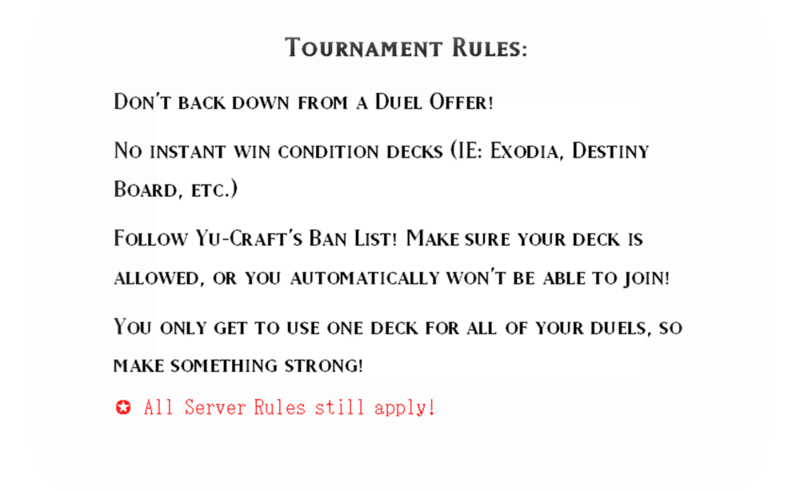 So many of you may know that an official tournament is coming up right after the ban list on Yu-Craft! There are tons of decks you can build, but I am writing this to give you information on what the best decks are going to be! This is a format you call, "Goat Format" Goat Format is basically a time in Yu-Gi-Oh! which was arguably the most skilled format of the game, ever. Goat Format consists of Chaos Control vs Goat Control. Goat Control basically used "Metamorphosis" targeting a scapegoat token or a "Magician of Faith" in order to summon out "Thousand-Eyes Restrict" to gain control of your opponent's board and prevent them from attacking further. Another key card in this deck is "Tsukuyomi" which allows for the effect of "Thousand-Eyes Restrict" to be used again. Chaos Control consisted of "Chaos Sorcerer" and banishing your materials from grave in order to summon them, whilst "Thousand-Eyes Restrict" was still a big part of this deck, "Return from the Different Dimension" was an even bigger part of this deck. It allowed you to special summon as many banished monsters from your banished zone as possible, but banish them during the end phase. However, usually when you activate "Return from the Different Dimension" you would usually end the game in that turn. Summoning "Black Luster Soldier - Envoy of the Beginning" with its effect, "Chaos Sorcerer" and other monsters as well. These decks were the top decks of this format, and this is what is going on at the moment in Yu-Craft! Probably one of the most well known formats of Yu-Gi-Oh! This card allowed an out to "Scapegoat" tokens. Not a complete out, but it still allowed you to be able to deal damage to your opponent's life points. The effect reads: During your Battle Step, if this card attacks a Defense Position monster: You can activate this efffect; this card loses exactly 400 ATK, and if it does, it will inflict piercing battle damage to your opponent. These effects last until the End Phase. This card allowed you to get 'rid of your opponent's backrow, which is basically a second "Mystical Space Typhoon" in the form of a monster. Although this monster is limited, in this format, you didn't really use traps all that often. The star of this format. You would use it to defend yourself or allow for a "Metamorphosis" play into "Thousand-Eyes Restrict" This play was the most common because it was the easiest way to get your "Thousand-Eyes Restrict" out on the field and into play. This card allowed you to get 'rid of your opponent's board presence by banishing both "D.D. Warrior Lady" and the card it battled. Another great card in this format. By banishing your opponent's face-down card and possibly removing it from the duel entirely if it is a Flip-Effect monster, was just too good to pass up on. Definitely a 2 of or 3 of in every Chaos/Goat Control deck. This card allowed you to banish up to two cards from your opponent's graveyard from the duel if it inflicted battle damage to your opponent in any way. In addition to this card being face up on the field, your opponent cannot remove cards from their graveyard or your graveyard from play. A very good card, at least a 1 of in every deck. "Return from the Different Dimension"
This card allowed you to take back the duel entirely or just end it quickly. By banishing your materials from grave whilst getting strong monsters out on the field to do so, you get to special summon those banished monsters and end the duel by attacking your opponent for game. This card was not used in Goat Control decks, but they were used in Chaos Control decks SOMETIMES. If you did run "Return from the Different Dimension" you would usually play towards this card and this card alone as if it was your one and only win condition. Being able to get your materials into your banish zone for your "Return from the Different Dimension" play while getting this onto the field and being able to banish one of your opponent's face up monsters on the field once per turn, was just too strong to pass up in this deck. This is why the Chaos Return varient of Chaos Control was even created in the first place. I will also provide 2 deck lists that were the most common throughout this format. Syd Am I alone in the belief that netdecking is basally the most unskilled way to play a card game? New Official Tournament! Be there! Dashieswag92 What time will the Tournament be starting? Because I have to run to the library at about Noon CST to drop off a book. Me and Bud have been working very hard to make change to this community to get it more organized, etc. There is also a new banlist, the banlists will now be posted on the website under the Yu-Craft gamemode forum! The banlist will be updated every month on the 10th from now on. No exceptions. Community changes - Kuriboh Network. Me and Bud have been wanting to do this for a pretty long time, we purchased the Kuriboh.net domain quite sometime ago and are just now utilizing it. The reason we chose to name the community this was because of Yu-Craft and the community that was brought here thanks to every single one of the Yu-Craft players! And soon the Project Poke players! 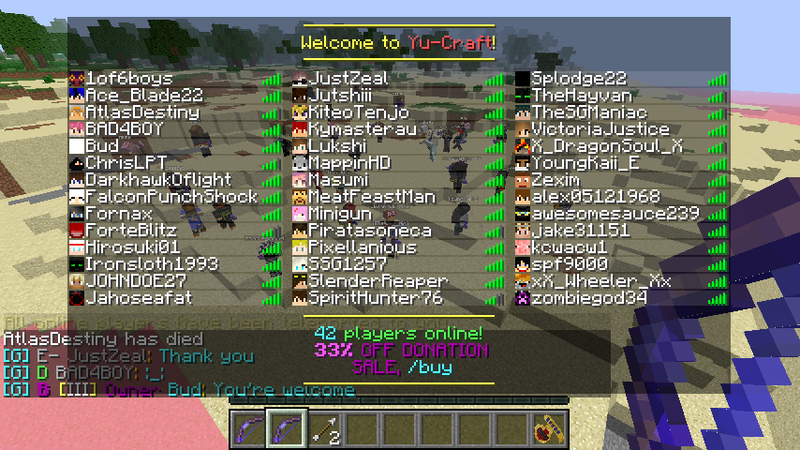 We decided to name it Kuriboh Network because Yu-Craft was our first gamemode. Kuriboh Network is a community for custom gamemodes and will ALWAYS be a community for custom gamemodes PERSONALLY coded by Bud himself. Type /VOTE In-game to receive your reward!